Hi friends! Are you ready for this? 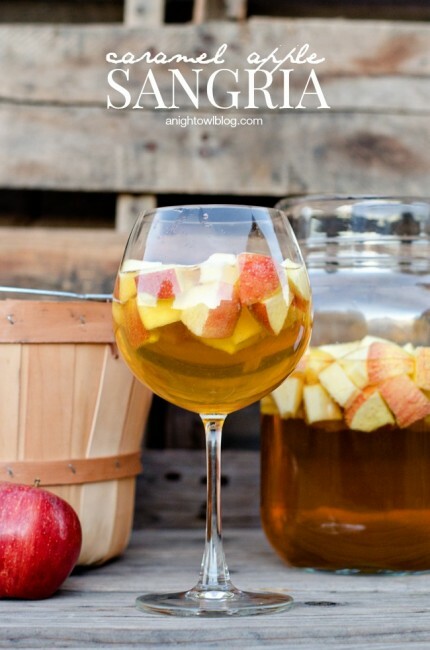 You guys have just LOVED our Caramel Apple Sangria, so much so that it’s been featured all over the place, including Lauren Conrad (we did a little happy dance about that one)! 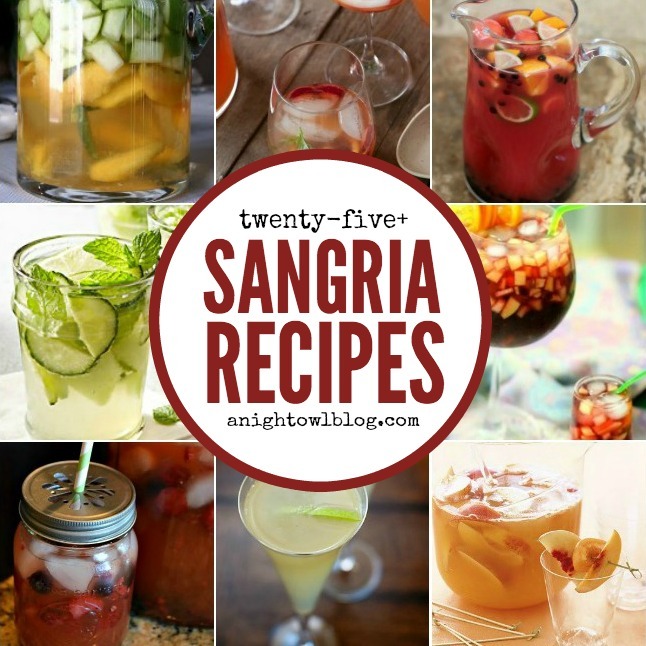 And you know we love our sangria – honestly it’s almost one of the only drinks I can really handle anymore. Is that sad? I know, I’m getting old. Hehe! 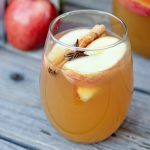 But I do enjoy a good glass of sangria so I started to think of other ways I could create another fall sensation and by golly I found it – Mulled Apple Cider Sangria! I’m not 100% sure, but I THINK that I even like this one better than the caramel apple! I went with my instincts from my last recipe and chose a drier white wine – a Chardonnay. I grabbed the Foodies Chardonnay from World Market – it came highly recommended and it was really good! Then I used our leftovers from our Mulled Spice Favors we created for our Thanksgiving Collaboration with World Market and mulled some apple cider. Oh MY! Our house smelled so good that day. 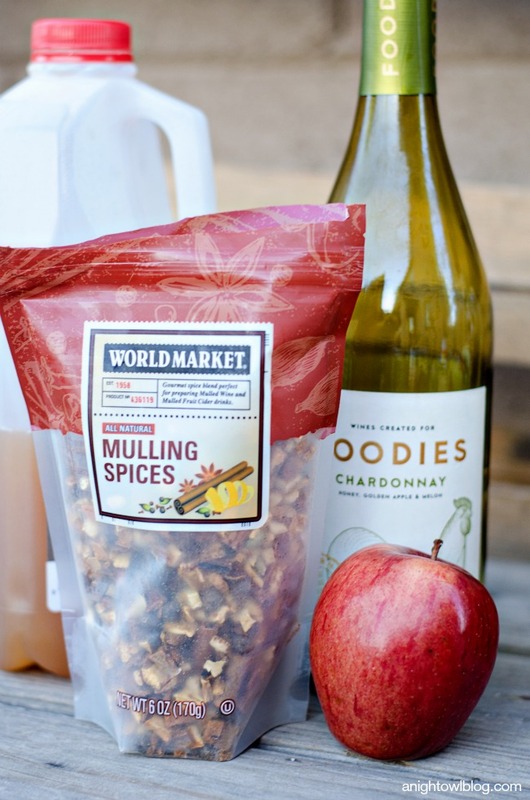 The easiest (and I hear the best) way to mull cider is to pop your cider in a slow cooker along with your mulling spices wrapped up in a muslin bag or cheesecloth. Turn your slow cooker on low, then just let that set for as long as you can stand it! Even all day! 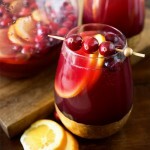 The result is one amazing mulled cider – and you’re half way to the best sangria I’ve ever had! 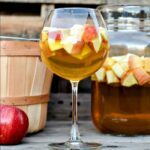 Now you can serve this sangria warm; when you’re done with the mulled cider, just add your white wine, some apples and you’re ready to go! Or you could let the mulled cider cool and refrigerate along with your favorite white wine. 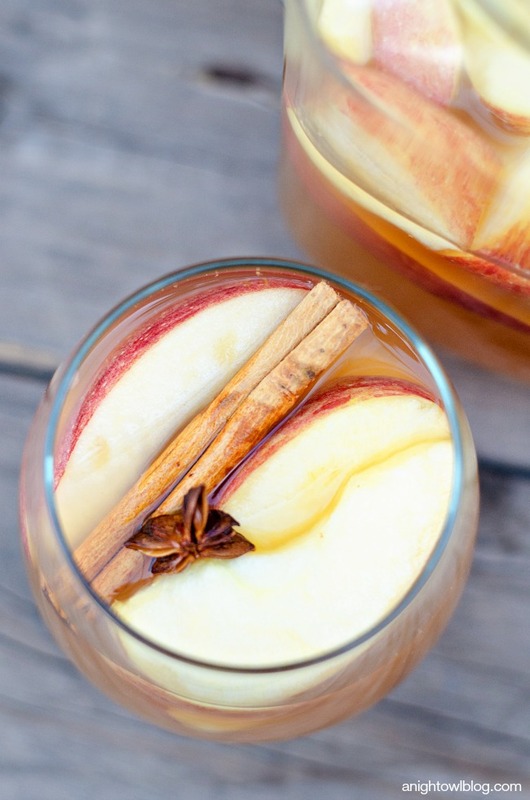 When both are chilled, simply combine the two, add some apple slices and a cinnamon stick for garnish and serve! Seriously delicious! 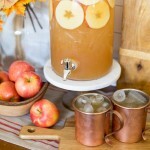 Pour your apple cider into a slow cooker on slow or small sauce pan on low heat. Wrap mulling spices in cheesecloth or muslin bag and drop into apple cider. Heat on low for 3-4 hours. 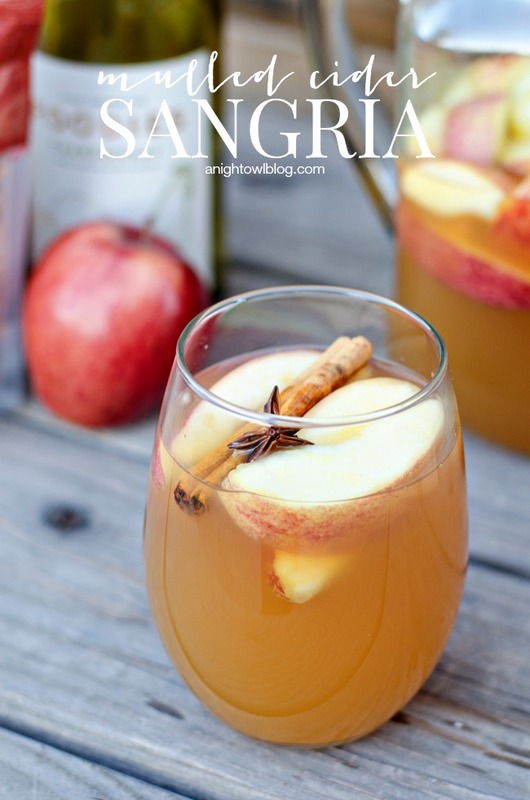 For warm sangria, add white wine to mulled cider, serve with apple slices and a cinnamon stick for garnish. For chilled sangria, let mulled cider cool then move to the refrigerator. 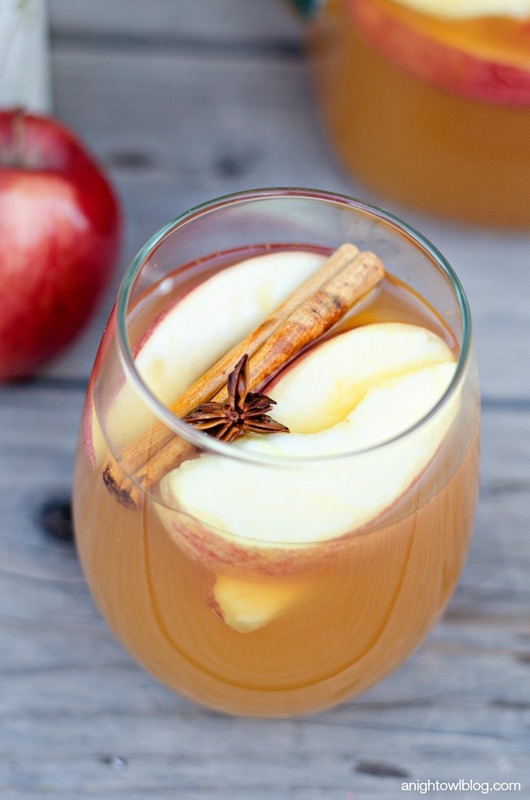 Once cider and wine are chilled, combine and serve over apple slices with a cinnamon stick for garnish. 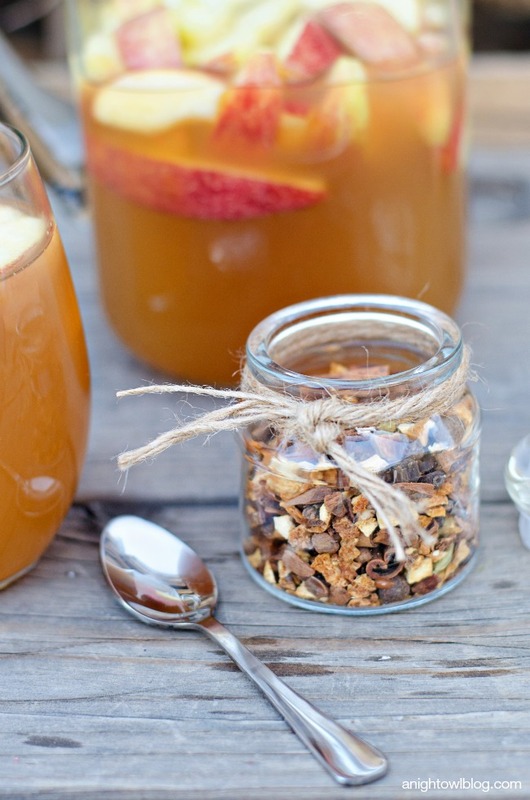 Mulled Apple Cider Sangria. Does it get any better? I think you really need to try it. Especially if you loved the Caramel Apple Sangria. It just keeps getting better, folks! Stay tuned for MORE! This looks awesome!!! The Thursty Thursday linkup just started back up!! 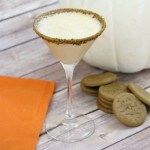 Come on by and linkup a recipe if you can! !